This is a wild Grizzly! Notice the head of a man in the lower right corner of the photo. This stupid man was out of his car blocking the way between the grizzly and his intended direction across the road. Notice how the grizzly is looking at him. A few leaps from the grizzly and the man was a “goner”! Note: I had a 960mm equivalent lens/camera combination. I was at a safe distance! It is unbelievable how many people disregard nature. 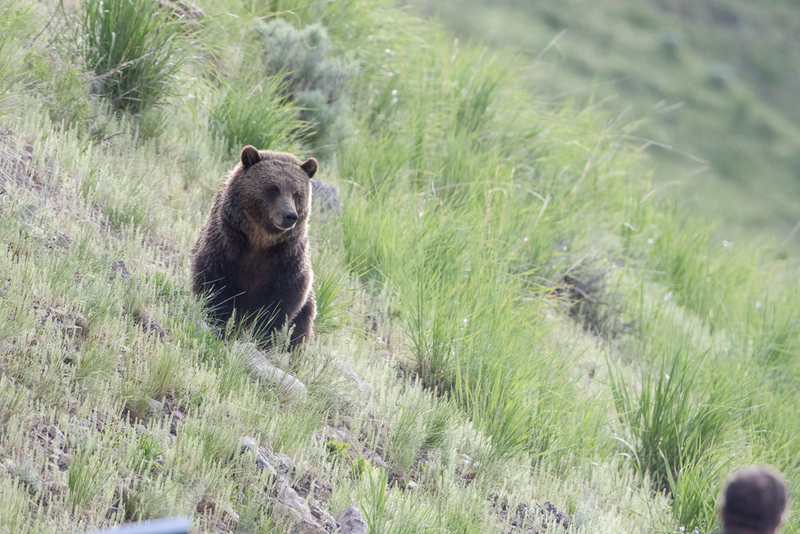 The poor grizzly was running along the hillside trying to cross the road. A string of cars with people hopping out of them was prohibiting the animal from going where he wanted to go. The animals have the right of way in the park, not visitors!!! 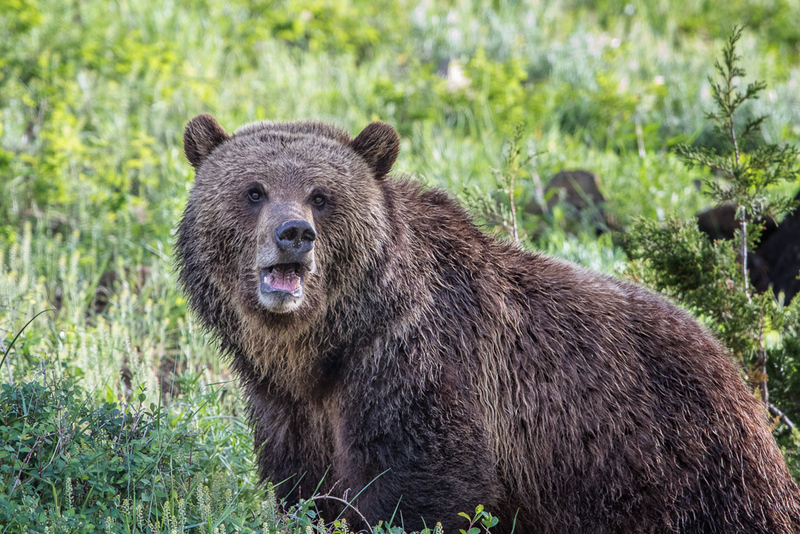 This entry was posted in Bears and tagged Grizzly, Yellowstone Park on June 21, 2017 by kgrafphoto. I traveled to Yellowstone to practice my wildlife photography. I was not disappointed. We first say this grizzly running along the Lamar River at a distance. He ran across the road about a mile from where we first saw him. We drove down the road and saw him on the hill side above us. There was a big traffic jam, so I pulled off and watched him running away toward a ridge. Just before he got to the top, he turned around and looked straight at me. Click … I got him. What a sight !!! This entry was posted in Bears and tagged Bear, Grizzly, Wildlife, Yellowstone Park on June 20, 2017 by kgrafphoto.